The game is played not only at international stage but also at domestic level. The most integral part of this game is its uniforms. The hockey uniforms manufacturers are offering their collections in comprehensive range of designs and shades. The game is equally popular among the men, women and juniors. So, the manufacturers are offering their collections in all the sizes which are highly demanded by the market. Gone of the days, when players showed more interest in the plain outfits. But for now, this scenario has changed. The players of modern era need special form of collection. They are more interested in the colourful and the designer collections. For this purpose, the designers are manufacturing their collections in different shades. In addition to this, full customization is also provided on the uniforms so that the teams get what they are looking for. In the customization, the designers provide add on features like the team name, player name, number, etc. These features help in providing unique identity to the teams. The sublimation printed women hockey uniforms are widely demanded these days. This is a versatile digital printing technique which is employed for the purpose of creating awesome designs on the fabric. In this technology, the motifs, first of all, get embedded on the transferable paper. Then, from the transferable paper, these get imprinted on the fabric. 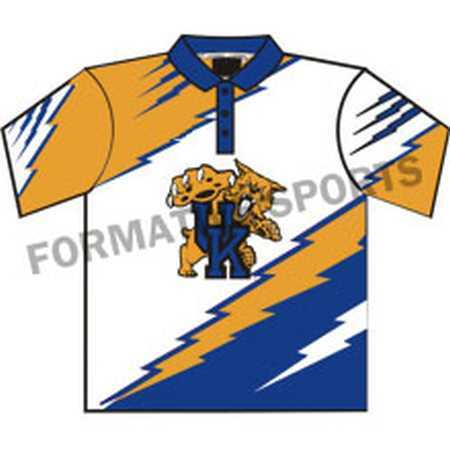 In this way, you get the best quality product from the hockey uniforms manufacturers.